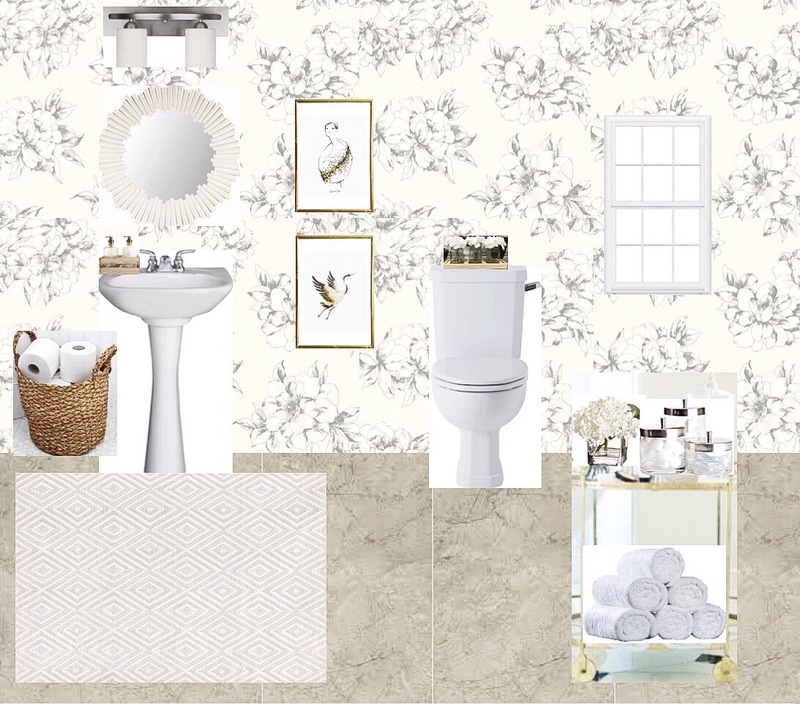 Today I want to talk about powder room design. We have a powder room on our main level and I want to give it a nice little refresh. It's pretty bland in there right now because I have been unsure of what I wanted to do. I have been trying to take my time designing our house and do things I really love and not just do something to do it. This is a mood board of what I am thinking for the space as of right now. I definitely want to do some wallpaper in there whether as a feature wall or all over. I keep telling myself this is a great opportunity to use some colour and step a little bit outside of my comfort zone. It's a room that's separate from everything else and it would be fun to have a little pop in there. 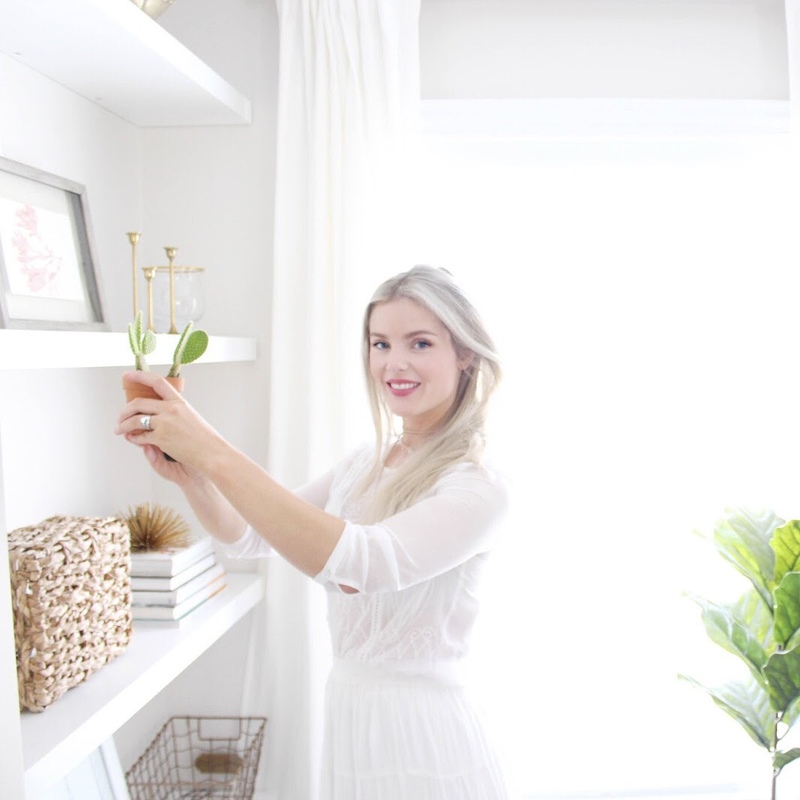 However, I love neutrals and I love the idea of it being a simple fresh space that's not to crazy and flows well with the rest of the main level. 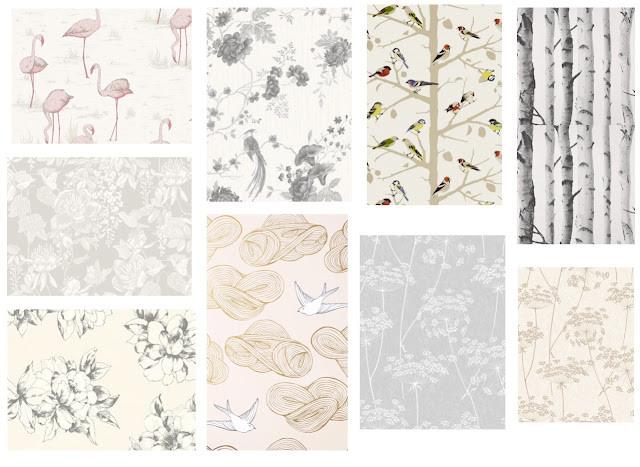 Here are some of the wallpapers I am liking for the space and I will keep you all posted on what I decide!